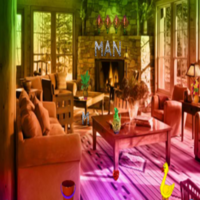 8bGames - 8b Wooden Duck House Escape is a point and click escape game developed by Marutiz for 8b Games. Assume that you are trapped into a wooden duck house and you try to escape from the wooden house by using key, objects, hints and solving puzzles. We hope you will escape the wooden duck house. Good luck and have fun! Good luck…Have fun! Hmmm....not your typical 8b game this time. I liked this one. Thanks 8b! minus 1 star for annoying symbol slider..